Most people think of “glass” as something you drink out of or something you sweep off the kitchen floor when you get too fumble-fingered. But go to the exhibit at Kennedy-Douglass Center for the Arts in Florence, Ala., and you’ll have a whole new appreciation for the word. 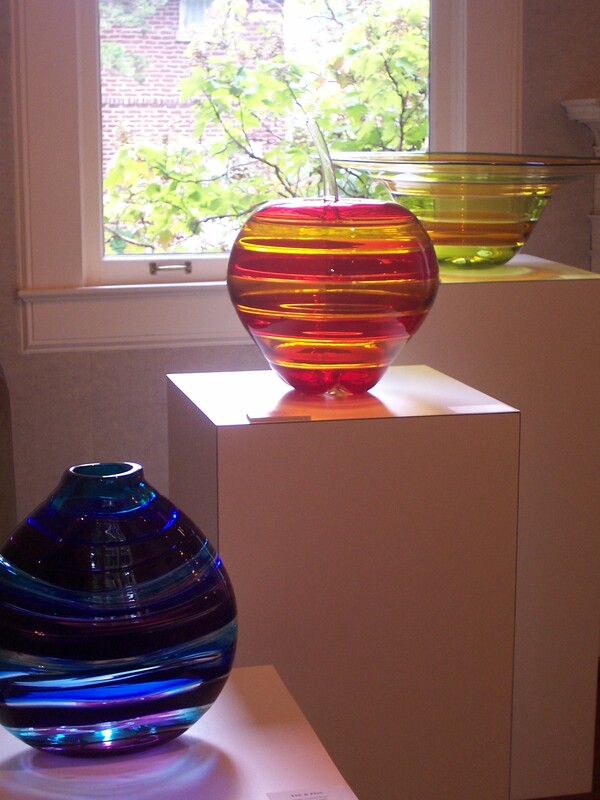 Cal Breed, owner of Orbix Hot Glass studio in Fort Payne, truly is a master glass worker. You’ll be amazed at the shapes and colors he creates — the luminosity of his work and the subtleties of pattern and texture are mesmerizing. Be sure to watch the video, on a laptop in the lobby, before you see the exhibit — learning how Breed and his workers create their designs is fascinating. You’ll never take glass for granted again! All pieces on display are for sale, plus there are smaller pieces in the gift shop. As always, one of the best things about an exhibit at Kennedy-Douglass is that it’s absolutely free. All you have to do is walk in and admire. A reception for Breed is 5:30-8 p.m., Thursday, Sept.18 (the last day of the exhibit), also is free and open to everybody. Kennedy-Douglass Center for the Arts is at 217 E. Tuscaloosa St., on the north side of Wilson Park. It’s open from 9 a.m. to 4 p.m. Monday-Friday. 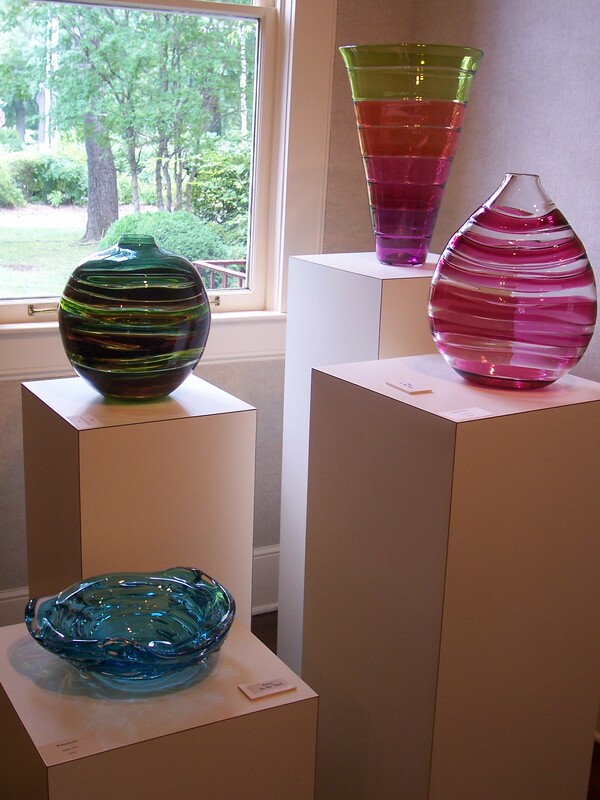 Call the center, (256) 760-6379, for details and visit http://www.orbixhotglass.com/ for more of Breed’s work. This entry was posted in art, Florence, Uncategorized and tagged Alabama, art, Florence by Coffee with Cathy. Bookmark the permalink.